A concern I hear when moving into the cloud is "what if I want to make a change later to another CRM, how do I get my data easily out of Salesforce?" Or, "our IT department has a policy that they retain a local backup of all our business systems." The good news is that Salesforce is not out to hold you hostage by making it difficult to export your company data. For Enterprise Edition or higher there is a very handy utility that Salesforce includes quickly and easily export all your company records – including attachments, documents and images! The alternative method is very clunky and time consuming. You would have to run a bunch of reports manually, or use the Data Loader’s "Export" option. Unfortunately either of those methods excludes attachments! What happens if you don’t backup your data and something catastrophic happens? Well, you can request your data to be recovered by Salesforce, but it costs $10,000 and can take 20 days! 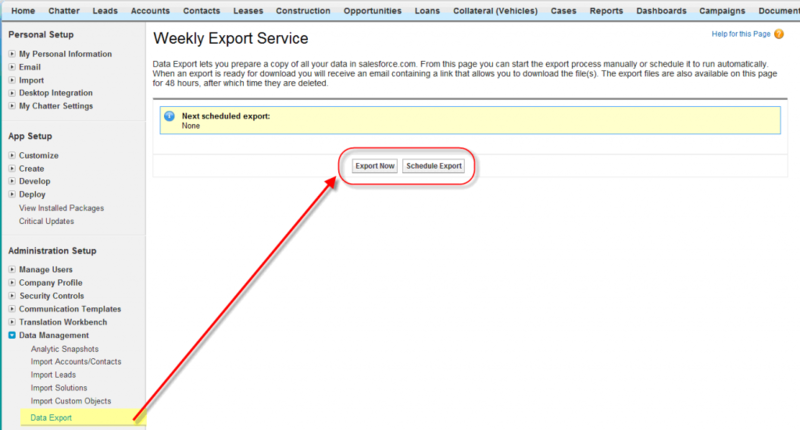 You will have the option of exporting your data now or scheduling the job. The screenshot below shows the option to include Documents, Images and Attachments, as well as scheduling the export at a certain time. If you scroll down on this screen you will see the option to export all your data, or subsets. Then click the "Start Export Button"
You will then see a message that the Export has been kicked off. When an export is ready for download you will receive an email containing a link that allows you to download the file(s). Following the link in the email will take you back to the Export Page were a file will be waiting. 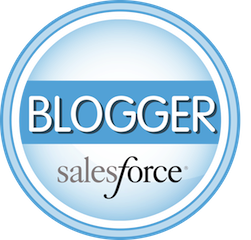 Salesforce creates a zip archive of CSV files. Exports typically finish within 48 hours of submission. Note: Zip files are deleted 48 hours after the email is sent!